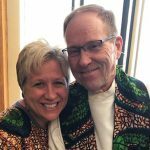 An offer to help a friend turned into a trip to the emergency department for Pastor Vern Christopherson, who has made a remarkable recovery thanks to prayer, community and a dedicated care team. 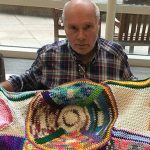 Five years ago Bill Schluter began crocheting as part of his recovery from short-term memory loss. Since then, he’s made hundreds of blankets and given them away to help comfort others. U.S. Army Staff Sgt. Patrick Zeigler came to Mayo Clinic after being wounded in the 2009 shooting at Fort Hood, and has made several return visits to share his story and support his comrades. Last month, he received the purple heart.